“Earth To Paris, a coalition of partners helping to drive awareness about the connection between people and planet as well as the need for strong climate action, announced it will host “Earth To Paris—Le Hub” a two-day, high-impact, live-streamed summit on 7 and 8 December in Paris during COP21 — the United Nations climate conference to deliver a new universal climate change agreement. Experts, advocates, CEOs, and other leaders in Paris will discuss creative and impactful solutions to climate change, while participants around the world take part through multi-language livestreamed video and real-time interactions across multiple social media platforms using the unifying hashtag #EarthToParis. The convening partners of the Earth To Paris Coalition are United Nations Foundation, GOOD Magazine, City of Paris (Mairie de Paris), Mashable, UNFCCC, National Geographic Jynwel Foundation, UNESCO, United Nations Development Programme (UNDP), UNICEF and HAVAS Worldwide. 350.org, a co-founder of TckTckTck, is not listed in the above press release yet is a collaborating partner, identified on the Earth to Paris Website partner page. 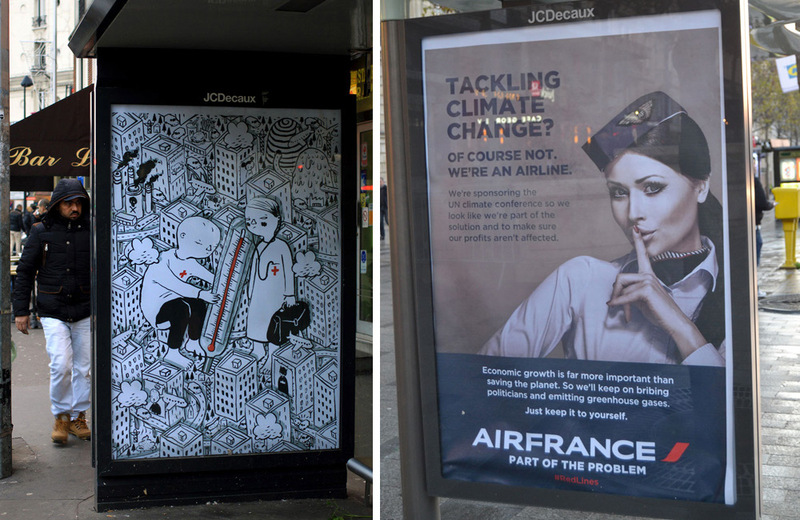 Havas Worldwide clients include both Air France and Havas creation TckTckTck. Yet, very few are willing to step through the looking glass. The COP series is a combination of traveling circus and religious revival that comes around once a year, for 21 years now. Everyone knows their role.